Harald Ortenburger csc, tall and lean with greying hair and closely trimmed beard, smiled as he looked back on the shooting of A Christmas Story in Ohio and Ontario a quarter of a century ago. He was chatting over a coffee at Timothy’s on Danforth Avenue in east end Toronto. In 1983, he was camera operator for director of photography Reginald Morris csc. 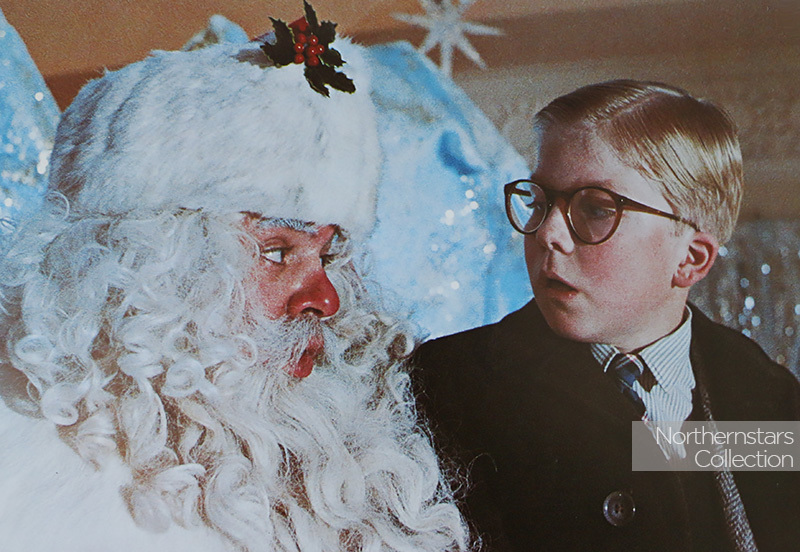 The Canadian-produced feature – it took home statuettes for direction (shared with David Cronenberg for Videodrome) and screenplay at the 1984 Genie Awards, plus seven other nominations including best picture – is considered to be the most-viewed Christmas movie ever made. Since 1997, the film has been best known for traditionally airing in a 24-hour Christmas marathon on TBS. And last month, Warner Bros. released A Christmas Story: Ultimate Collector`s Edition on Blu-ray Disc. The Cleveland, Ohio, house where the picture was shot has been completely restored to its 1983 film look and is a tourist site, complete with a gift shop across the street. St. Catharines and Lindsay, Ontario, stood in for many scenes in the fictional northern Indiana town of Hohman, and studio work was shot at Magder Studios in Toronto. Did the camera crew have any troubles with a cast of mainly nine- and 10-year-olds? “The lead kid, Peter Billingsley, was an adult as far as intelligence and his demeanour [was concerned]. He was amazing. You’d ask him to hit his mark, and he did. We had no difficulties with the kids; they were all terrific. It was like coming upon a gang of kids, and we just happened to have a camera. The brilliant casting of all these kids was done by Marcia Shulman, who today is executive vice-president at Fox Network.” Billingsley was recently seen as William Ginter Riva in this year’s Iron Man. But, Ortenburger added, Clark could be flexible and improvise when he needed to. “If there was a better suggestion or some logistic crept up that wasn’t there before, he knew how and he wasn’t afraid to improvise.” The director and Morris had worked together on three movies before Porky’s and Porky’s II – Black Christmas, Tribute and Murder by Decree – “so they didn’t have to talk. 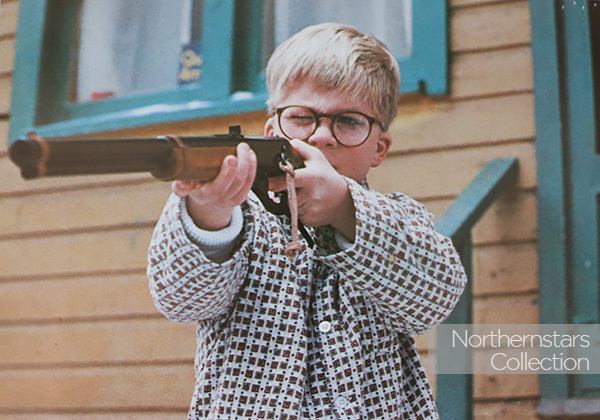 They were like a well-oiled machine.” A Christmas Story was shot with Panaflex cameras on Eastman 5247 colour negative stock. DP Morris and operator Ortenburger collaborated on six movies altogether, including A Christmas Story, Porky’s and Porky’s II: The Next Day. Ortenburger was DP on three projects in the early to late 1990s, earning full membership in the CSC, but his heart was in operating. Ortenburger started his career at Arriflex in Munich when he was 16, apprenticing as a precision mechanics and optics technician. He completed his apprenticeship in 1963 and was transferred to New York City, where he got an education on everything Arriflex made. Two years later, he came to Toronto to work for Arri, then moved to Cinequip. He said Porky’s did a lot to get him rolling. “It got me my visa to go to the States because it was such a high-profile picture, and then DP Fred Schuler [asc] asked me to operate on a Rodney Dangerfield comedy called Easy Money.” His career has since taken Ortenburger to the sets of major motion pictures created by hall-of-fame directors and DPs. Besides Clark, for whom he did four pictures, one of his favourite directors was Richard Benjamin – Mermaids, Maid in America, Milk Money and Mrs. Winterbourne – and, yes, it’s strictly coincidence that all four films start withan ‘M.’ He operated on two films by Sidney Lumet, Critical Care and Gloria, and, he said, “I was in awe. Am I really working with this guy? He was fantastic. Extremely organized; the night before, you already had the morning shot. The day is completely planned, every shot – where he starts it, where he ends it.” He said Clark, who was killed in a car accident in 2007, was the only other director he worked with who was as prepared as Lumet. Ortenburger has operated for A-list DPs such as George, Morris, Dunk, John Bartley csc, asc, Ernest Day bsc, Conrad Hall asc, Haskell Wexler asc, Vilmos Zsigmond asc, Dante Spinotti asc, aic (on the 2008 release Flash of Genius) and many more. But his favourite cinematographer was Englishman David Watkin bsc, whom he first met when Watkin lit Moonstruck for Norman Jewison in 1986. They worked on four other features together over the next 10 years, Used People, Milk Money, Critical Care and Gloria. Watkin, who passed away early this year at 82, “totally let me work the English system,” Ortenburger remembered. “His body of work is staggering. To me, he was always the greatest. When I was scouting a location for David, he would always say, ‘Make sure it’s backlit.’” Before starting principal photography on Moonstruck, Watkin told his operator in a brief meeting: “Whatever you and Norman can come up with I can light. All I’m asking is that if you see something you don’t like, come and get me.” That was it. “Not lighting, of course. I mean, no one would have told David Watkin how to light,” Ortenburger added. 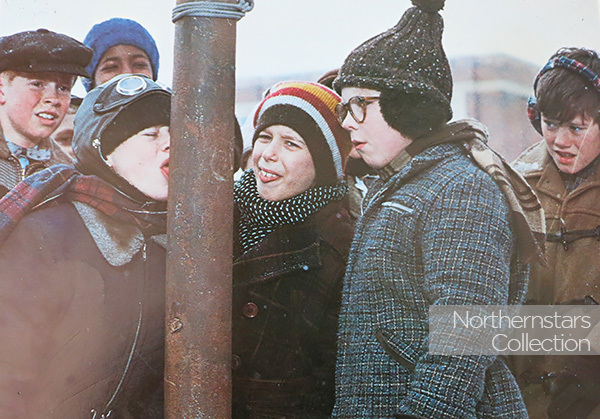 Back to the Cast & Crew of A Christmas Story. 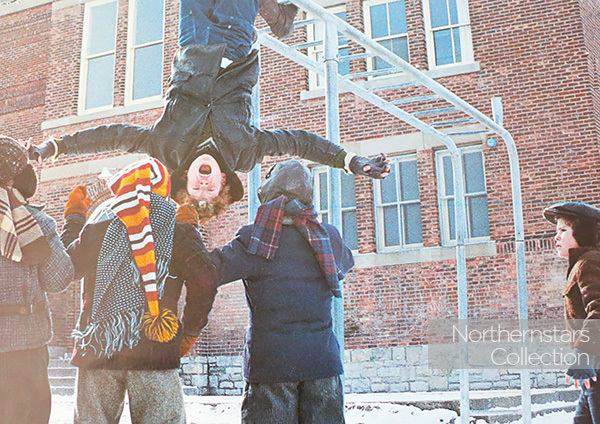 All of the images used in this article were scanned from originals in the Northernstars Collection. This article, not including the images used here, was originally published in the September 2008 edition of CSC News and is reproduced here with permission of its editor.